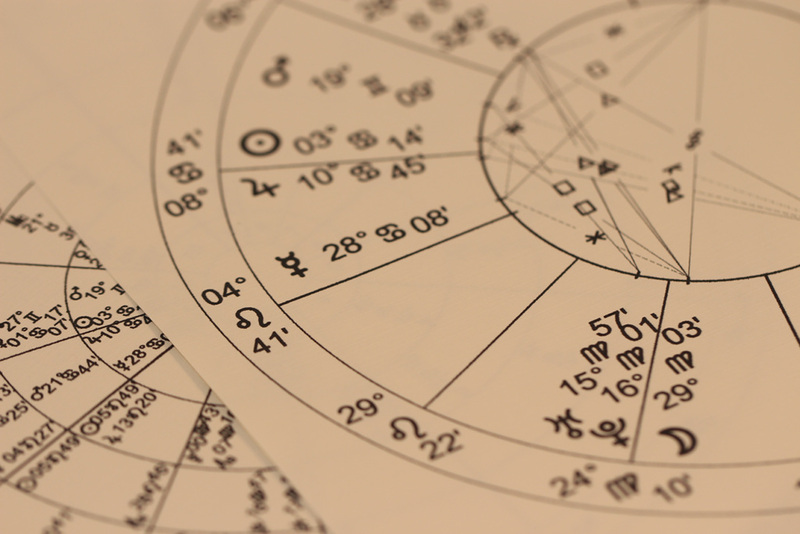 One of the most important pieces of your astrological chart is your moon sign (where the moon was when you were born). The sign reveals much about our habits, reactions, and instincts. It shows how we express, and deal with, our emotions. The moon moves into a different sign every 2-3 days, which is why for instance, a Aries born April 10 could be quite different from a Aries born April 14. Astrologists believe that the lunar zodiac influences our life, much like the Sun does it. While travelling the heavens and crossing the zodiac constellation after constellation, Moon is charging itself with the power and qualities of currently visited zodiac sign. Moon in Aries is a time, when lunar sky path is crossing the first sector of the zodiac – between ∠0°-30°, where is located the constellation of Aries. Life is a series of emergencies for Lunar Ariens. They live in the moment and have a hard time waiting for things to happen. The Aries needs autonomy, challenges, action, novelty and to be “first.” Wants to feel alive and turned on, but can also be demanding of attention! Lunar Ariens have an unmistakable independent streak. They put themselves right out there in the world, and make an impression in whatever they do. Their self-confidence is actually variable. Although a strong personality is projected, Moon in Aries people go through plenty of ups and downs. Aries is the moon sign of action. A time for a skilled but not tedious projects. Things will happen fast and be over quick, like a summer storm. Moon in Taurus is a time, when lunar sky path is crossing the second sector of the zodiac – between ∠30°-60°, where is located the constellation of Taurus. Familiarity is important to Lunar Taureans. These people are earthy and strong-willed. They feel with their senses and they are pretty much rooted in their ways. They revel in material comforts–in fact, building a solid and comfortable home and foundation helps to keep them feeling safe and content. The Taurus needs stability, material comforts, affection, beauty, to feel that they’re building something lasting. Wants a return on their emotional investment but can be a little too security-obsessed. This moon sign is good when you need patience, practicality, perseverance and planning. This is a perfect time to invest, but it’s not a sign friendly to changes. Moon in Gemini is a time, when lunar sky path is crossing the third sector of the zodiac – between ∠60°-90°, where is located the constellation of Gemini. Lunar Geminis are usually pleasant, witty, and charming people. At home and with family, however, they can be moody and irritable at times. People with Moon in Gemini are always interesting people–they have a finger in every pie, are curious to a fault, and are generally well-informed. Gemini needs constant communication, new ideas, stimulating dialogue. Drawn to kindred spirits, a “meeting of the minds” and someone who can mirror or reflect things back to you. This is a good time for change, beware of mind games. Avoid the garden. Instead socialize, go to vacation, or get active. Moon in Cancer is a time, when lunar sky path is crossing the fourth sector of the zodiac – between ∠90°-120°, where is located the constellation of Cancer. Moon in Cancer natives have a large potential to be able to get in touch with the feelings and moods of others. Often, they are quite wrapped up in themselves. Their memories of the past are outstanding, especially for all things emotional. Cancer needs nurturing, safety, family and creature comforts (good food, nesting, cozy clothes). Can be fearful of abandonment and require lots of reassurance. This is a great time to love your garden, grow anything from veggies to potatoes. Build personal friendships and call your mother. Be watchful for personality changes as some people gets pouty in the cancer moon sign. Moon in Leo is a time, when lunar sky path is crossing the fifth sector of the zodiac – between ∠120°-150°, where is located the constellation of Leo. Lunar Leos often feel a need to organize, and even control, their families and friends. They have an inner mission to set things right, and generally like to oversee the goings-on in their little circle. Leo needs attention, glamour, affection, non-stop entertainment and playfulness. Craves excitement and a conquest, someone to celebrate life with them. Strong sense of leadership that needs to be expressed. The Leo moon is the best time to entertain and show off. People are proud, playful and confident. Just don’t let the time light go to your head. Moon in Virgo is a time, when lunar sky path is crossing the sixth sector of the zodiac – between ∠150°-180°, where is located the constellation of Virgo. Lunar Virgos find security in the little things in life. They feel most content when they’ve straightened out all the details of everyday life. Many of them enjoy running errands, paying bills, and balancing the books. Some people with Virgo Moons are accused of being underachievers. Virgo needs order, to feel helpful and of service, mental stimulation. Likes to problem-solve and analyze, but can be anxious or worrisome. This moon sign is best for tackling tedious tasks, analyze information, finding bargains, tithaning the budget. Beware of becoming a workaholic. This sign is also a difficult time to make decisions. Moon in Libra is a time, when lunar sky path is crossing the seventh sector of the zodiac – between ∠180°-210°, where is located the constellation of Libra. Moon in Libra people have a strong need for partnership. Without someone to share their lives with, they feel utterly incomplete. Lunar Librans feel safe and secure when they are in a partnership. These are the people who seem to always need to have someone tag along with them wherever they goeven if it is to the corner store. They find strength and reinforcement in and through others. Moon Libra needs harmony, beauty, companionship, equality. Hates conflict and craves a peaceful and aesthetically pleasing environment, tasteful clothing, fine art and a strong sense of justice. Moon in this zodiac sign is a good time to start new projects, form partnerships, make agreements and increase beauty. But if you are in a fighting partnership nothing will get accomplished until the dust settles. Moon in Scorpio is a time, when lunar sky path is crossing the eighth sector of the zodiac – between ∠210°-240°, where is located the constellation of Scorpio. While others may find security and comfort in material things, Moon in Scorpio people seek out emotional intensity. No matter what, there is something very intense about Lunar Scorpios. They are diggers when it comes to the world of emotionthey can see beyond facades and cut right to the core of a person. Moon in Scorpio people often have a strong fear of betrayal. Scorpio needs privacy, intensity, soul bonding, strong sexual chemistry or to feel like part of a “power duo.” Has a hard time trusting and opening up—the person who wins a Scorpio moon’s confidence will be rewarded with eternal loyalty. This is an intense (some might even say obsessive) moon sign. Use it to make a stand or fight for your beliefs. Be careful to to manipulate or justify ill-conceived actions. Moon in Sagittarius is a time, when lunar sky path is crossing the ninth sector of the zodiac – between ∠240°-270°, where is located the constellation of Sagittarius. More than anything, Lunar Sagittarians have a need for personal freedom and space. They are extraordinarily happy and easygoing folk, as long as they don’t feel caged in or cooped up. Lunar Sagittarians have a simultaneous need for activity. Meeting new people, going out in the world, and travel are all important to their sense of well-being. They love open spaces, and, in their homes, a roomy and bright environment. Sagittarius needs adventure, conquests, wisdom, variety. Attracted to worldly and open-minded people, loves to travel and have new experiences, meet people of all walks. Life should feel like a constant carnival and celebration—bores easily. Use the Sagittarius moon sign to come clean. Whatever needs to be said should be said now. Honesty is foremost in this sign. Be careful not to proselytize, just say it and move on. Moon in Capricorn is a time, when lunar sky path is crossing the tenth sector of the zodiac – between ∠270°-300°, where is located the constellation of Capricorn. Being useful and productive are basic needs for Lunar Capricorns. Because they generally keep their emotions under check, Moon in Capricorn people come across as competent people. This position of the Moon suggests a desire for clear boundaries and realistic goals. Not much for taking risks in life, Lunar Capricorns look for safety and security in most everything they do. Capricorn needs a long-term legacy and to feel like they’re creating something that will last for generations. Power is a turn-on, and this moon sign needs someone with firm boundaries and ambition. Craves solitude and time to recharge—can be depressive or melancholy at times. Can be emotionally distant and not very nurturing. The planning moon. Increase structure in your daily Me. Avoid asking for favours. Authority figures are all about discipline and more likely to want you to ‘make your own way’ than offer help. Moon in Aquarius is a time, when lunar sky path is crossing the eleventh sector of the zodiac – between ∠300°-330°, where is located the constellation of Aquarius. Moon in Aquarius people are extremely observant. They are lifetime students of human nature, loving to analyze why people do what they do. This often stems from a detached–even shy–personality, especially in youth. Lunar Aquarians can be very willful, especially in childhood. With age, these natives generally learn to handle their strong needs. Aquarius needs friendship, collaboration, a common cause—but this rebellious moon soon also craves a strong sense of individuality and subverting the powers that be. Can lapse into people pleasing at times. Settling down is hard for this moon sign—and even when they do, they need lots of freedom and autonomy! This is a time to use your head for the benefit of others. Invention, meetings for friendly and intellectual exchanges, and helpful actions should dominate this moon sign. Moon in Pisces is a time, when lunar sky path is crossing the twelfth sector of the zodiac – between ∠330°-360°, where is located the constellation of Pisces. Lunar Pisceans are known to be dreamy and not always in touch with reality. However, though these people may not always show real-world savvy in day-to-day, practical affairs, they make up for this with remarkable intuition. They can put themselves in anybody’s shoes with extreme ease. On the plus side, this endows them with remarkable compassion and love. Moon in Pisces people may get tagged as “spaced out”, but there’s a lot more to them than meets the eye. They feel things out, and rely on their intuition. Pisces needs fantasy, compassion, escape, creative outlets, security. This dreamy moon sign can be extremely hard to pin down and read…they’re not even sure how to explain or navigate their own depths. Can be powerful healers and drawn to artistic, sensual and spiritual pursuits. A good time for lurring within. Watch your personal boundaries and keep reality in mind as this moon time tends to make people idealistic and can lead to chaos when the moon shifts into the more stable sign of Aries.